Hooray! 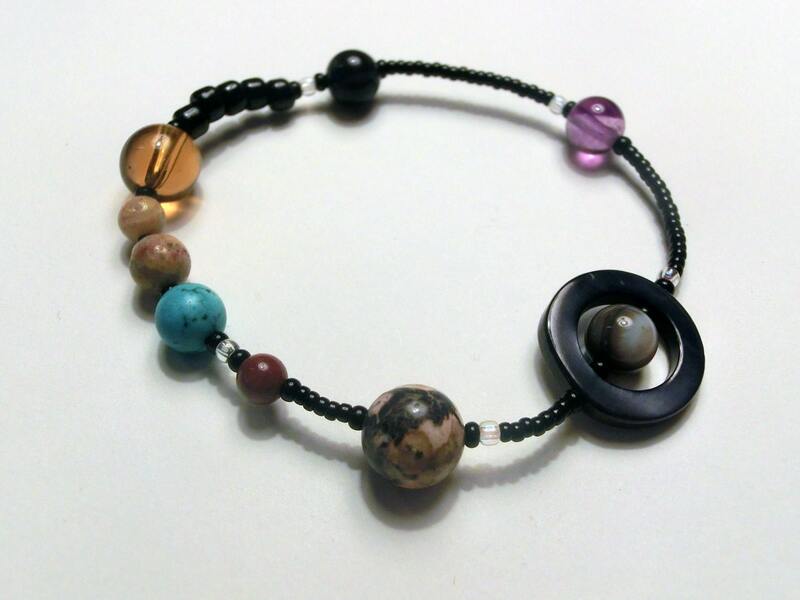 Our Solar System Jewelry series has been featured by BuzzFeed, The Planetary Society, MAKE:, NASA, and NPR's Science Friday! 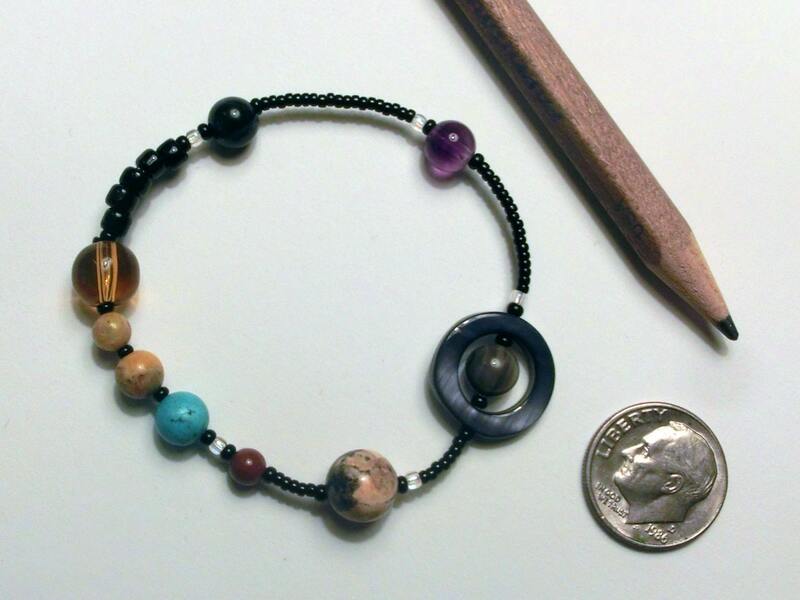 This bracelet includes the Sun, Mercury, Venus, Earth & our Moon, Mars, Jupiter, Saturn, Uranus, and Neptune. 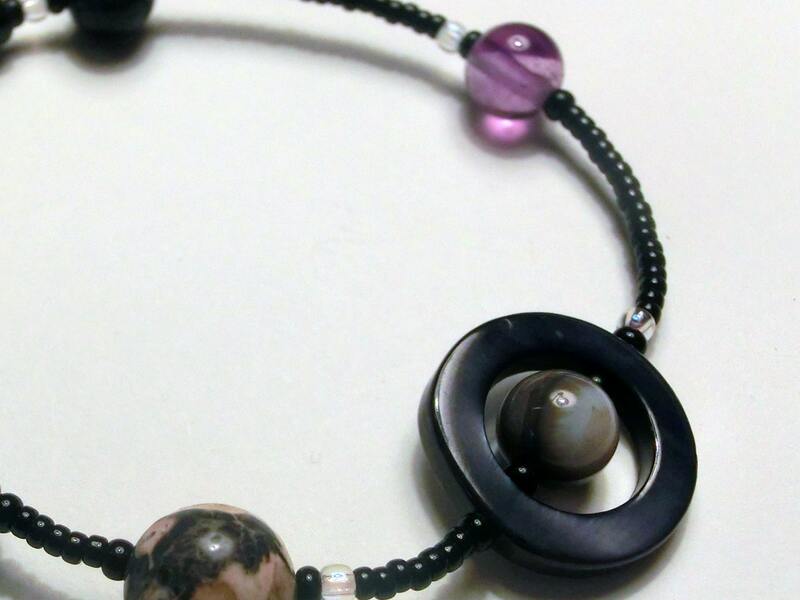 Planets with many moons have opalescent glass beads next to them on the bracelet. 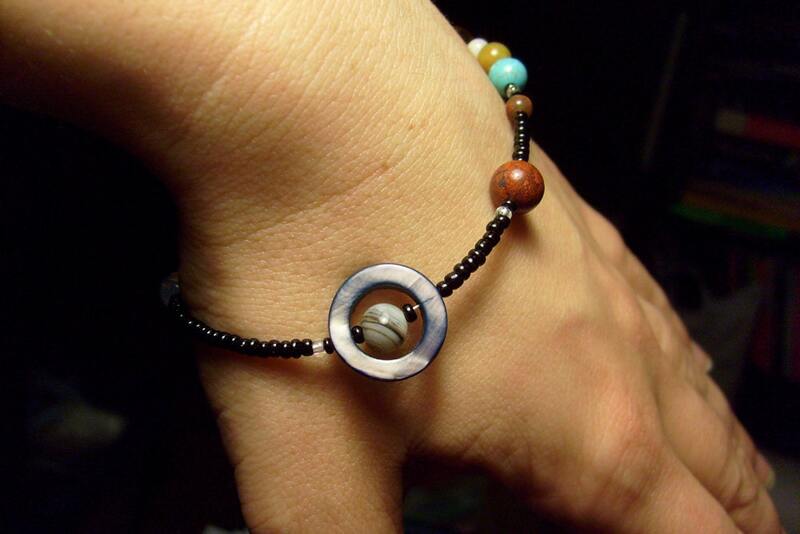 I already had bought stuff from them so I knew it would be lovely and arrive quickly- and it was and it did! They do good work. VERY pleased. 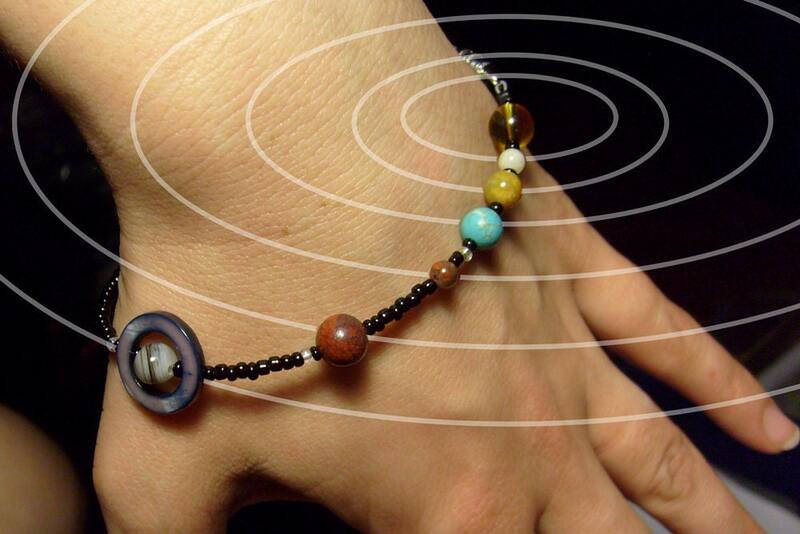 A beautiful and comfortable bracelet! I was excited to get it and it did not disappoint.